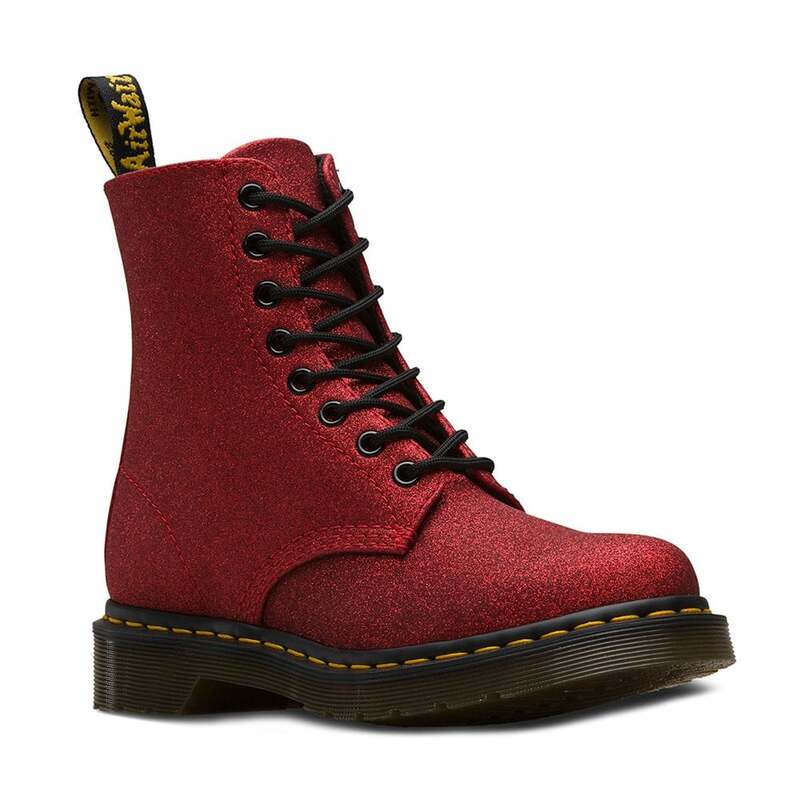 This season Dr Martens have given the 1460 Pascal boot a stylish makeover, covering it in a sparkling red glitter PU material. An eight eyelet lace up fastening provides a secure comfortable fit for these fantastic womens boots while the Dr Martens classic AirWair sole unit, heat sealed, glued and Z welt stitched to the upper with yellow stitching, provided great shock absorption as well as oil, petrol, acid, alkali and slip resistance. As a finishing touch, this iconic style boot features flat red ribbon laces with alternative round red glitter laces included so you can choose your look. We predict these will sell out fast so order yours today! Please note: Dr Martens tell us that to keep your boots looking their best, try not to rub, scuff or polish them as it may cause the glitter partlicles to fall off. The glitter may also discolour if worn in wet conditions.